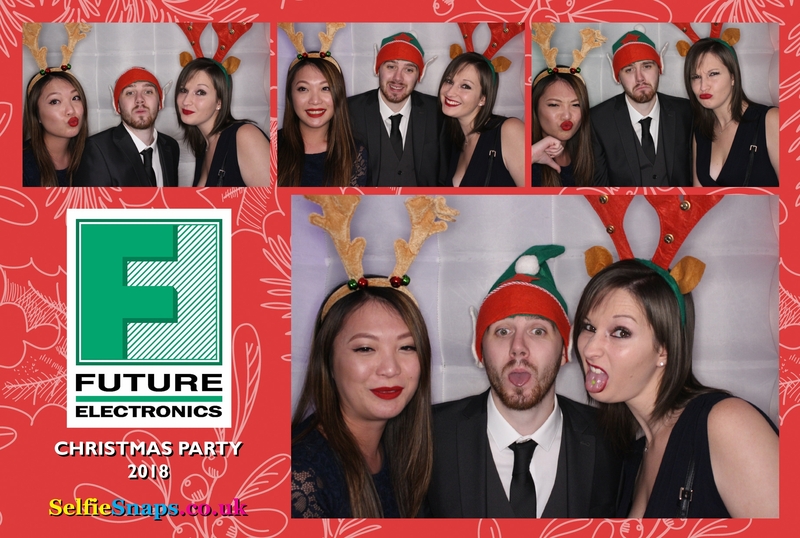 Our inflatable LED Photobooth was in action at the Sofitel London Heathrow Hotel on Friday for the Future Electronics Xmas party. 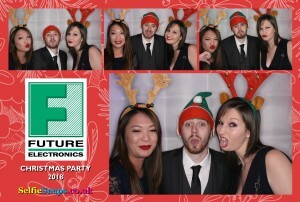 They really went to town with a full sit down meal for 300 people, a disco, a snowboard ride, table air hockey and a unique tech based magician. Sofitel London Heathrow is walking distance to terminal 5 as it is only a hundred yards away. The Sofitel London Heathrow has a huge atria, flooded with light, lots of water features and enough trees to start a rainforest. “I wanted the Brasserie Roux to feel like a cathedral,” says architect Stephen Williams. “Large, spacious, airy. But I have also introduced a canopy in the middle, to give a sense of intimacy.” Cathedral is right. It is a magnificent space and exhilarating to sit in. The brasserie, superintended by the legendary Albert Roux, is not just one of those big-name restaurants where a celebrity chef is brought on board to impress corporate investors. It is the real thing: French brasserie food delivered with verve and joie de vivre. It feels like a destination restaurant, the sort people go out of their way to visit. He is like a child with a new toy and, one has to say, it is a toy that any hotelier would give his eye-teeth for. The corporate market is being vigorously targeted, for obvious reasons. The Sofitel London Heathrow Hotel is the third biggest conference venue in the UK, with 45 meeting rooms, a luxury theatre and the jumbo-sized Arora Suite, which can seat over 1000. It is not hard to imagine the Sofitel London Heathrow becoming a must-stay-at address for the executives of multinational companies, jetting in from all over the world, with time at a premium. But, gratifyingly, the hotel does far more than cater to men in suits. There are 605 bedrooms, in three price ranges, starting from just over £150, plus 30-odd suites, headed by the £3000-a-night Imperial Suite, an extravagant fantasy in Swarovski crystal which has Posh and Becks written all over it. Lowlier guests will not be similarly overwhelmed with luxury, but they will enjoy the kind of the facilities they are accustomed to in five-star hotels – stylish dining options, a well-appointed spa and gym, walk-in showers, Wi-Fi, plasma TVs, dreamy bed-linen, etc – but never, ever expected to find in a hotel at Heathrow.